This is an attempt to write a canonical QA for this issue, as per the Meta post: Where is the list of canonical questions stored for Ask Different? I expect it to be periodically edited with the goal of becoming a comprehensive information resource. I have a MacBook Pro that has a key(Shift, Return, Command, P, etc.) that doesn’t respond when pressed or is stuck in the down position. It's possible that my favorite beverage was spilled (or some other liquid damage). It's also possible that I have no idea what happened. It was working yesterday and suddenly today it's no longer working. Is there any way to bypass or remap the key? Can I have the system ignore it completely? The first case is potentially salvageable through the use of software to remap a key, or just changing your behavior when possible (i.e. use right Cmd instead of left Cmd). 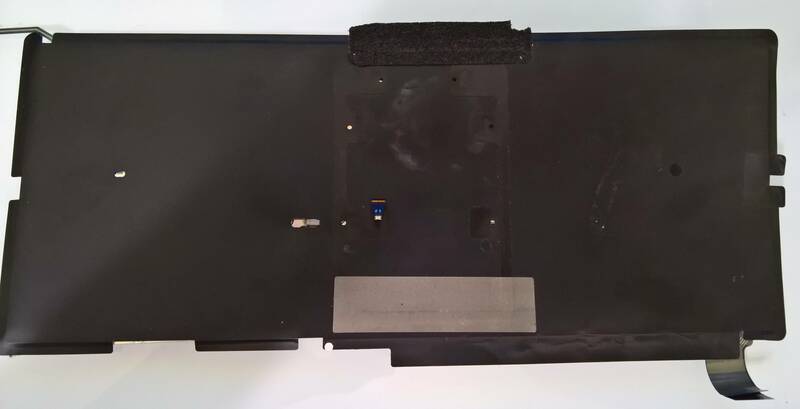 The second case, where the key is acting like it's pressed, the keyboard will likely have to be replaced because there is a physical connection being made and it's being sent to the logic board to be interpreted. If a key isn’t responding it means that the electrical connection mapping the key is blocked. Remapping keys can be done via 3rd party tools such as Karabiner or Karabiner Elements (Sierra and up). However, there's only so much remapping you can do and this isn't practical in the pre-boot stage (i.e. ⇧Shift keys or ⌥Option keys don't work). This means if you need to go into Safe Mode (hold ⇧Shift, run Apple Hardware Test (hold D) or any other boot time key sequences, it won't work; you'll need an external USB keyboard. You can remap once macOS has loaded, but not before. With this scenario, you may be able to get around the unresponsive keys, but eventually you will have to replace it. The keyboard needs to be replaced. There is a contaminant that is shorting electrical connections. When you press a key, you are intentionally creating this short, but a liquid like water or soda (which can conduct electrical current) can bridge the connections closing the loop. 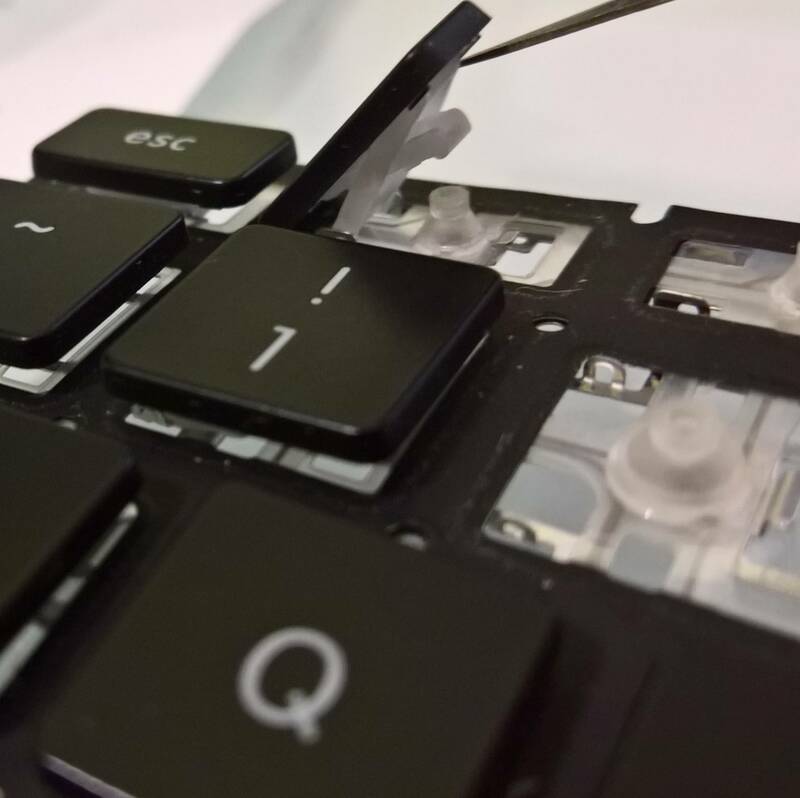 In these cases, they keyboard needs to be removed and cleaned with an electrical solvent. Given the amount a labor to do this (there are a TON of screws – about 60 in total), it’s much more cost effective just to replace they keyboard with a new one. This applies to the 2016 through 2018 MacBook Pros and covers the gen 1, 2 and 3 keyboards. The butterfly keyboard is a mechanical design change from the traditional keyboard mechanism. The underlying electronic circuitry remains the same. The "shallower" profile allows for less space requirements resulting in a thinner profile for the laptop. However, a thinner profile means tighter operating tolerances. Contaminants and regular wear are now much more likely to contribute to premature failure resulting in either stuck or non-responsive keys. Apple will traditionally replace your top case assembly. This is the aluminum housing that holds all the internals. Note: For the Early 2015 through 2017 MacBook and 2016 through 2017 MacBook Pros, Apple has acknowledged the issue and is replacing the top case assembly through a Service Program. However, they aren't replacing the gen 1 or gen 2 keyboards with the new gen 3 design. Basically, they'll replace it with the same (flawed) model. (IMO this puts owning an Apple MacBook/Pro on par with owning a Jaguar). To replace this, you will have to remove the battery, fans, speakers, and logic board to swap the internals to the new assembly. If you are going to go this far, just replace the keyboard and save yourself the money. Replacement MacBook Pro keyboards are relatively inexpensive (13" MacBook Pro Keyboard and 15" MacBook Pro Keyboard) versus a top case assembly - $25-$30 versus $250-$400. iFixit.com has excellent guides to walk you through, but if you are unsure of your tech skills it's best to get a pro to do the job. 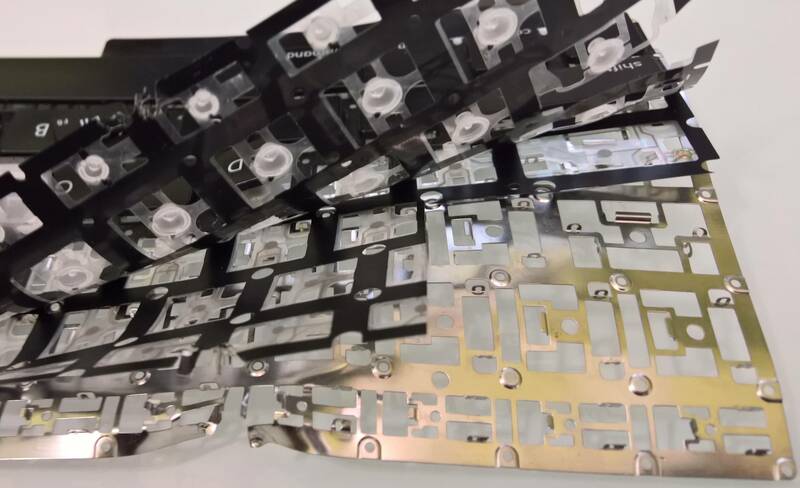 Removing the back cover, we can get a better look at the backplate. 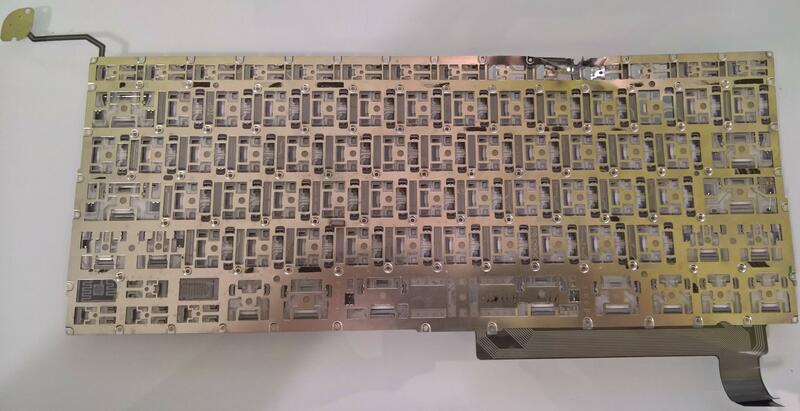 This piece provides the stability and structure for the keyboard. Taking an even closer look at the key, we can see how the mechanism attaches physically to the back plate to keep it in place. The rubber cup is what provides the “spring” action to return the key to its unpressed position. Peeling back the layers we can see how it all comes together. 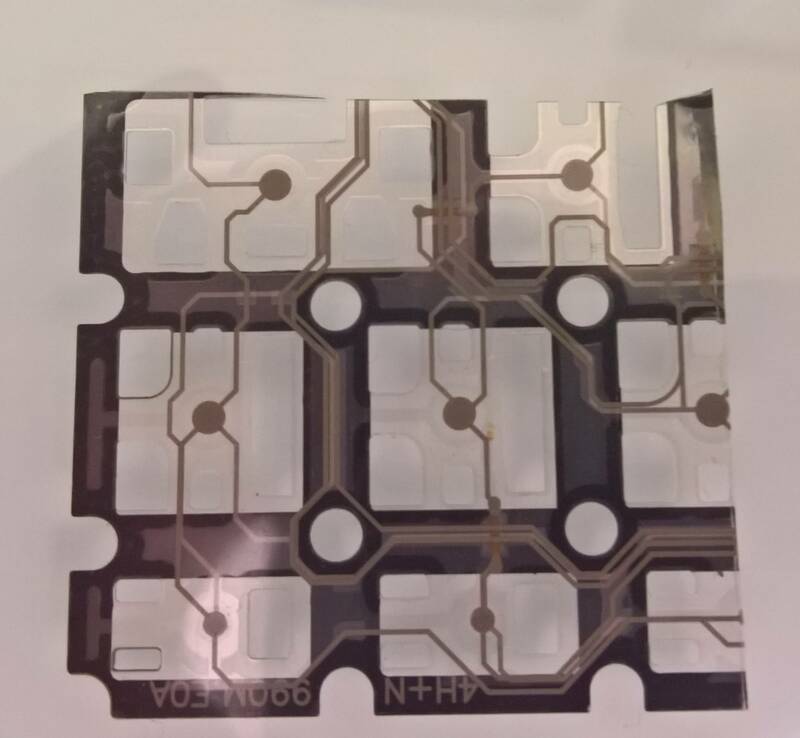 The plastic membrane with the rubber cups on top of the plastic membrane with the electrical traces on top of the metal back plate. Cutting out a section of the trace membrane we can wee how the electrical connections are made. Looking closely, you can see that each key has a vertical connection with the key above/below it and a horizontal connection between the keys to the right/left. 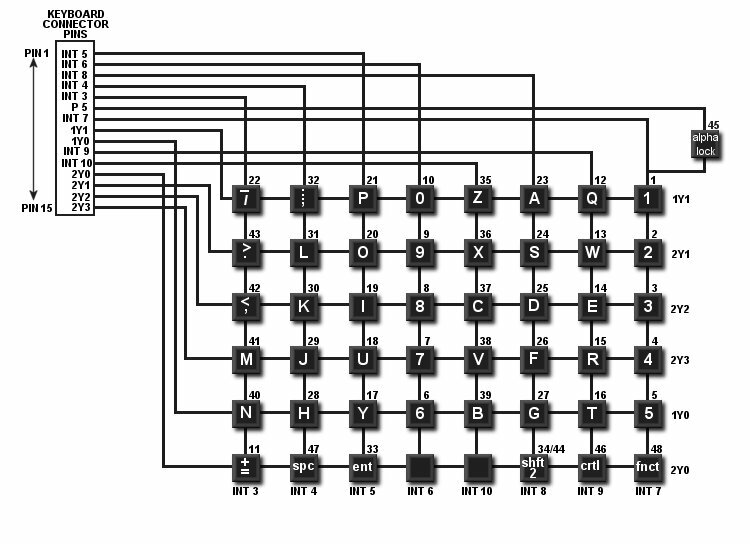 A keyboard works by completing the circuit between two circuits in a “grid” pattern. This is how we can get 100+ keys with only 29 circuits. For example, to get the letter “P” using the keyboard diagram below, it would create a closed circuit between Pin 1 and Pin 7. Key(s) are stuck. The circuit path is shorted. This could be due to a foreign contaminant (including the key mechanism itself) putting pressure on the contact pad or some sort of FOD (foreign object debris) shorting out the circuit path. Key(s) not responding. The circuit path is broken. When you press a key and nothing happens, no signal is being sent for the keyboard to recognize a key press. This could be due to a short, bad contacts, a physically broken path, etc. A note on intermittent problems. An intermittent electronic failure is a subset of the above conditions. Dry solder joints1, decayed glue2, and even bad/failed solid state components (i.e. resistors, capacitors, ICs, etc. )3; any/all of these can play a role in a circuit path failure. 3 What causes this resistor to fail - open circuit and no visible damage? Have to press down hard for keys on keyboard to work? The “Esc” key in my bluetooth keyboard doesn't work, how to fix it? Left shift key unresponsive and stuck? 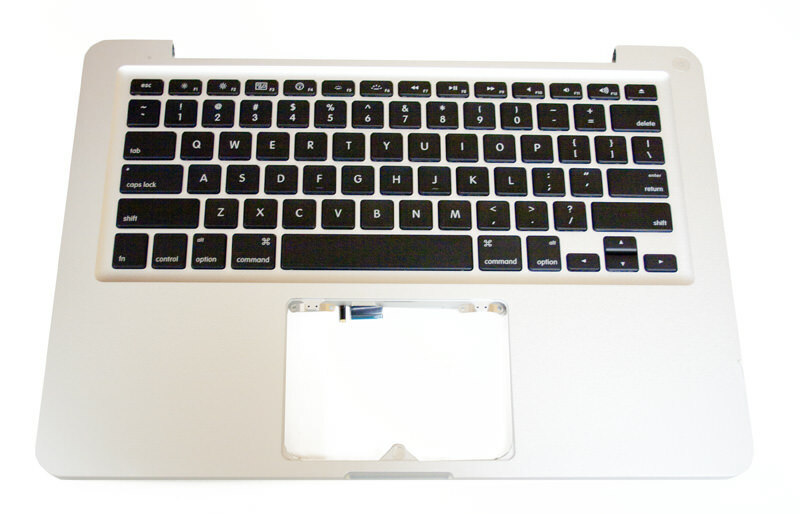 1 key faulty on Macbook Pro Retina - is a replacement keyboard, battery etc the only fix?